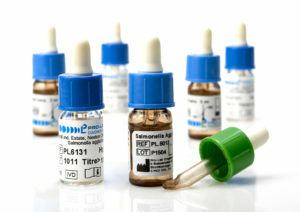 A comprehensive range of Salmonella slide agglutination antisera in 3.0 ml dropper bottles with shelf lives up to five years from date of manufacture. The range includes a full panel of polyvalent somatic antisera, monovalent somatic antisera, polyvalent flagella antisera and monovalent flagella antisera for traditional slide agglutination testing. Also available are a range of Rapid Salmonella Diagnostic sera (RSD) for the initial identification of primary groups of Salmonella. Following an extensive independent market survey carried out for Pro-Lab Diagnostics, established for many years as a manufacturer and supplier of high quality sera for Salmonella, Shigella and E. coli, it has been concluded that although full serological testing may not be required for all species in all laboratories, certain serotypes still require bench level identification in all routine microbiology laboratories. To place your orders please contact us via email at support@pro-lab.com or you can call us at 1-800-268-2341. 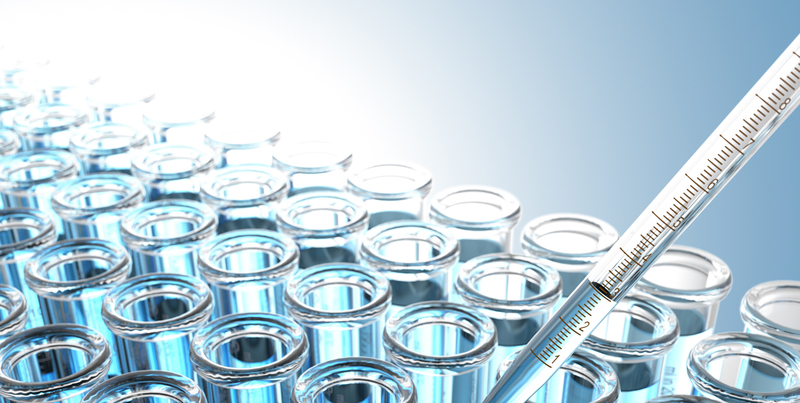 Pro-Lab Diagnostics develops, manufactures and distributes medical devices and laboratory supplies. We are a privately held corporation founded in 1974 with its head office in Toronto, Canada and subsidiaries in the U.K. and U.S.A. The company is registered with ISO 13485:2016 (MDSAP), the TPD (Health Canada) and FDA.